As parents, we are somewhat prepared for the anguish of Senior year. We know they need to go. But please, I swear that 18 years was really 18 seconds. I mean seriously…what just happened? The biggest surprise, and what I was NOT even remotely prepared for, was how attached I would be to my son’s friends. He picked really, really good friends. And, he let me get to know them. Especially Sam. Ben and Sam have been the best of friends for many years. They chose each other. They truly take care of one another. It has been pretty cool to watch. The reality of Sam not being at my house for lunch – like almost every day – is sooo unacceptable. Ouch. And no more pictures of Sam on the baseball mound? Say what? I will miss how Sam’s eyes light up after recording for The Macks and when he’s telling me about some hijinks he’s orchestrating at school and when he’s filling me in on Prom-posal strategies. Sam can be serious and complex and creative. He writes poems and some have become song lyrics for The Macks. Sam can also just be a one-liner man and pretty dang funny. I have laughed so hard at the many videos written and produced by Ben and Sam. All of this is perfect for his next adventures at the University of Oregon pursuing a marketing and advertising degree. 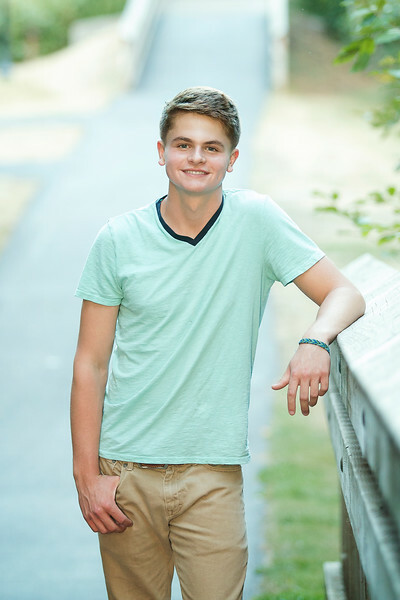 Sam chose this image taken in a local park as his Senior Favorite. I actually remember what he said right after we took it, “Yeah. That felt like a good one.” He was right.